We are providing the Current Affairs quiz for its readers. This is a compilation of today’s Current Affairs related questions related to Fellow Royal Society and Rewa Solar Power Project. 1. Which of the following female astronauts will be recorded for 328 days in space? 2. Which of the following Indian women became the first woman in the 358-year history of becoming a Fellow of the Royal Society of Britain? 3Recently, 22 million year old animal fossils were found in a store of which university? 4. What is the name of the Prime Minister of Mali who recently resigned as a result of public anger against him in the country? 5. Which state has started getting power from Rewa Mega Solar Power Project located in Delhi? 6. Which country has launched its first satellite, NepaliSet-1 successfully? 7. How many places does India have in the World Press Freedom Index-2013? 8. 8. Which country’s High Commissioner to India, Sohail Mahmood took over as the new Foreign Secretary of the country on April 17, 2019? 9. Which country’s Prime Minister Sommailu Bobeye Mago resigned with his whole government after dealing with the increasing violence in the middle of the country and criticizing the massacre last month? 10. Recently, India and the Navy of which country organized four-day naval exercises? Description: With the expansion of the mission of Christina Koch, now a new record of spending 328 days in the space station will be created. It will be the longest time any woman has spent in a single spacecraft. Description: Indian origin scientist Gagandeep Kang has become the first Indian woman to join the Royal Society. Gagandeep Kang of Faridabad in Haryana has given this list place to Indian woman for the first time in the history of 358 years. Description:Fossils of 22 million years old animal have recently been found in a store in Ohio University. These fossils are believed to be the huge carnivorous creatures that look like a lion named Sebkubu Kutokafrika. 4. d. Saumelu Bayuebe MagaDescription: Prime Minister Saamelu Bayuebe Maga and his government have resigned amidst worsening security situation in Mali. The President’s Office issued a press release on Thursday, saying that Maga and his cabinet had submitted resignation to president Ibrahim Dubacher Keita. 5. c. Madhya Pradesh Description:Delhi Metro has started getting power from Mega Solar Power Project in Rewa in Madhya Pradesh and today it got 27 MW electricity, which is planned to be increased to 99 MW later. Nepal launched its first satellite, NepaliSet-1 successfully. It was released in the US from space in Virginia. Its weight is just 1.3 kg. Details: In the World Press Freedom Index-2013, India’s ranking has dropped two places to 140th place compared to last year. Description: Sohail Mahmood, who was Pakistan’s High Commissioner to India, took charge of the country’s new Foreign Secretary on April 17, 2019. Sohail Mahmud has replaced Tahameena Janjua, who retired from office on April 16 after serving as Foreign Secretary of Pakistan for two years. description:Mali’s Prime Minister Sommailu Bobeye Mago resigned with his whole government after dealing with the increasing violence in the middle of the country and after the criticisms of last month’s genocide. Description: The Navy of India and Vietnam recently organized four-day naval exercises. This exercise was organized in Cam Rhoneh Bay in Vietnam. 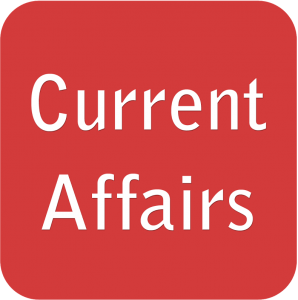 We are providing Weekly Current Affairs Questions for its readers. It has a compilation of test-related questions related to current week’s current affairs. 1. How long has the Election Commission issued the declaration of political parties for the declaration? 2. According to the National Family Health Survey, what is the rate of malnutrition during the year 2017-18 in India? 3. Which bowler has been ranked first in the ODI rankings issued by the International Cricket Council (ICC) recently? 4. What is the name of Chief Minister of Goa who has recently died on the post? 5. Who among the following has been made Chief Minister of Goa? 6. In a list released by Global Consulting firm Mercer, how many cities of India have been considered as worthless in the quality of living? 7. Which country has recently announced the ‘International Education Strategy’ to improve the visa system given after education? 8. In the 34th meeting of the GST Council, how many percent GST has been approved on affordable houses? 9. Which of the following has been appointed as the first Lokpal of India recently? 10. What is the title of the World Water Development Report released by the United Nations Unit UNESCO about the state of water in the world? Details: The Commission has said that during the 48 hours before the election date, political parties can not issue their manifesto. In fact, in the last Lok Sabha elections in 2014, some political parties had issued their manifesto on the day of polling. In this case, the Election Commission believes that in such a time the manifesto can be issued to affect voters. This time, the Election Commission wants to ensure that there is no such dispute at this time. Description :Malnutrition in India decreased by two percent compared to the previous figures. Due to malnutrition, the ratio of children with less length and weight was 48% in 2004-05, which decreased to 34.70% in 2017-18. Before this, it was 38.40 percent in 2015-16. Prime Minister Narendra Modi launched a nutrition campaign in March 2018, aiming to reduce malnutrition from 38.4 percent in 2015-16 to 25 percent in 2022. Description : List of batsmen went to rankings released by the ICC on Indian captain Virat Kohli in the first place. Apart from this, Rohit Sharma is in second place while New Zealand batsman Ross Taylor is at third place. After Bumrah in bowling, New Zealand pacer Trent Bolt is in second place, while Rashid Khan has moved to third position. Description : Goa Chief Minister Manohar Parrikar (who died on March 17, 2019) was also the Defense Minister of the country from November 9, 2014 to March 13, 2017. During the same period, Pakistan had the first surgical strike. Manohar Parrikar was the first IIT graduate to be the Chief Minister of any Indian state. Description : After the demise of Manohar Parrikar, Pramod Sawant has been made Chief Minister of Goa. Pramod Sawant took oath of office and secrecy at a function held in Raj Bhavan at 2 a.m. on March 18, 2019. Details : How many cities of India are considered to be worthless in the quality of living in a list released by Global Consulting firm Mercer. These statistics have been released by Mercer in Living Survey 2019.
details :The UK Government has announced a new ‘International Education Strategy’ while preparing policies that will be implemented after the break-in. Under this strategy, the visa system provided after education will improve, so that Indian students are expected to get benefits. Description : At the 34th meeting of the GST Council, in the 33rd meeting of the GST, approved 1 percent for affordable houses and 5 percent GST recovery on the under construction houses except for affordable housing. Description : The name of Justice Pinaki Chandra Ghosh was approved by President Ramnath Kovind for the post of Lokpal on March 19, 2019. Pinaki Chandra Ghosh has become the first Lokpal of the country. 1. How many EVMs and VVPat parchis have been asked to match an EVM in the directive given to the Election Commission by the Supreme Court? 2. Who among the following has been chosen as the Best Male Player in ESPN India Multi-Sports Awards 2018? 3. ESPN India Multi-Sports Awards In 2018, which of the following was chosen as the best female player? 4. Who among the following has recently been elected the President of the World Bank? 5. Which of the following has recently taken over as the new President of the Indian Industry Confederation (CII)? 6. International Monetary Fund (IMF) has reduced the growth estimate of India from 0.2 percent to the current fiscal year? 7. Which state government has changed the name of Chennai Central Railway Station to Prabchi Talewar Dr. MGR Central Railway Station? 8. Youtube CEO Susanne Wojciechi while addressing YouTube’s annual program ‘Brandcast India’ said that YouTube has become the largest and fastest growing market in which country? 9. Bilingual practice ‘Bold Kurukshetra’ started in Babina in Jhansi between India and the armies of which country? 10.Which of the following days is celebrated as World Homoeopathic Day? details : On petition of 21 opposition parties demanding fifty percent VVPAT, the Supreme Court has directed the Election Commission to replace 5 EVMs and VVPAT slips in place of 1 EVM in every assembly segment. Description: Spear throw player Neeraj Chopra was selected as the best Indian player of the year 2018 ESPN India Multi-Sports Awards. Description: Indian badminton player and Olympic medalist PV Sindhu has been conferred the best female player award in the ESPN India Multi-Sports Award recently. Description:The US government has selected David Wallace of the US Department of Finance as the 13th President of the World Bank. The World Bank Executive Board selected David Malpas as the President of the World Bank with a consensus. Description: Vikram Kirloskar took charge as the new President of the Indian Industry Confederation (CII). Kotak Mahindra Bank’s founder, Uday Kotak has been nominated the next president of the organization. Description: The International Monetary Fund (IMF) has reduced India’s growth forecast from 0.2 percent to 7.3 percent for the current financial year. Earlier, the International Monetary Fund had projected India’s growth rate to be 7.4 percent in 2019-20. Details: Chennai Central Railway Station has been renamed by Pravachi Talavar Dr. M.G. Ramachandran has been transferred to Central Railway Station. With this special notification being issued, this name came on the railway ticket. Description : Youtube CEO Susanne Wojcicky addressing YouTube’s annual program ‘Brandcast India’ said that YouTube is India’s largest and fastest growing market. This annual YouTube program was organized in Mumbai on April 9, 2019. Description: Bilingual practice ‘Bold Kurukshetra Practice-2013’ started between Babina and India between the armies of India and Singapore. The troops of both the armies participated together at the ceremony. This joint exercise is being organized from April 8 to April 11 in Jhansi, Babina. Description: World Homeopathy Day is celebrated every year on April 10th. This day is celebrated in the celebration of birthday of Dr. Christian Frederick Samuel Hannimen, founder of homeopathy, Germany. In 2005 Parliament passed the Right to Information Act to provide information related to essential work to the public. Under section 7 (1), the citizen is entitled to seek information related to any governmental matter. There are some areas in section 8 and 9 of the Act, which is excluded from the right to information. In recent years, this right is being constantly ignored. Under Section 8 (1) of the Act, information on personal information can be denied. According to the provisions given in the section, such personal information, which does not have any concerns with the social activities and interests, or whose disclosure is considered inappropriate aggression on the individual’s privacy, is prohibited. It is necessary to tell here that some personal information; Some government departments, such as medical records or bank details, may have. But its public activity has nothing to do with it. Similarly, during the raids, officials can get personal information about someone. But once again it is not related to public activity, and it can not be made public. Unfortunately, due to the provision of information, the cancellation of the provision of exemption is denied to give such information, which is the right of a common citizen to receive. The expenditure of legislative accounts, leave of officials, caste certificate, educational qualification, etc. are denied. One approach to denying the right to information is in denial of information, whose inauguration can cause loss of interest to anyone. But if this information is right to be given to the legislature in any case, then it becomes public. Therefore, after the refusal of information under section 8 (1) (i), the person concerned should be evaluated that the information given cannot be given even after the demands of Parliament or Legislative Assembly. Such illegal and unconstitutional measures have been adopted by many officers, commissioners and judges to weaken the right to information. Thus, a very important fundamental right is being abusive. Surely it is the ideal time to read the morning time. Ask around peace, leisurely, spontaneous body energized mind, and truth, and even the complete clarity of the mind. It has its own science, which I do not necessarily mean to discuss here. But one thing I definitely would like to say That is, if you study for one and a half hours in the morning, you will feel that your mind is happy all day. She is happy to think that I have dealt with one of my most important tasks. Otherwise, a strain of unnecessarily in the brain, a worry, remains a pressure. And if it is made, then firmly believe that this mentality will have a negative effect on the other things we are doing. The result will be that the quality which should be done in other things, it will not come. At the same time, they should be as soon as possible, They will take longer than expected. That is, we are once again giving the opportunity to slip the time with my hand. If you do not believe, try it once for two to four days. If it seems okay then do it and if not, leave it. There was a problem with me that I could not read at all in the night and I still can not read it. Studying after dinner is not less than for me to climb Everest. Surely then I used to sleep early. And as far as rising up in the morning, it is connected to sleep at night. You can say about yourself that “I can not sleep early in the night”. Why cannot sleep, there will be many reasons behind it, which I consider to be right in your sight. But I think that if you continue to justify all the decisions till now, due to your own good reasons, then one day it will come when you have to make the reasons for your failure also be reasonable. Eventually, you have to take the time. Yes, it is of course that the habit of getting up late due to your delayed delay will take some time to break it. If you could do this, then this would be an ideal situation. And if not, So that does not mean that now nothing can happen. That’s not all at all. I’m just talking about my experience. The second formula that comes out from my story above is how we can use our time, which otherwise goes wasteless. Just like living in cities, it takes a lot of time to travel, if they are not coming out of the bike then I think studies can be done at this time. I have Do not think here that this is how it is possible in that attack. Most students studying civil service in the mind mean-meditating. This is a waste of time. Relieve yourself from this misunderstanding. And even if there is meditation, remember that sitting on a chorus full of noise can be done. And in true since it is also true meditation. Meditation is perhaps the easiest thing to do in entering the Himalayan cave. If you are enjoying reading, then no situation can stop you from enjoying it. You can do this. Yes, It is essential that you take relatively light things for such occasions. But if you have a resolve to prepare inside and this resolution is true, then you can do it. I’m not writing this preacher. This is the truth and the people who have done something similar has done this way. Third, the vacancy time during the job I do not think that any job is such, where there is no time to breathe even after going to the office, although everyone claims the same. In this regard, I have had the experience of living in my college. you can also do this. Knowing this, you probably would not believe that Einstein had three papers that were most important in his life; Those who had established him as a scientist were written when they were working on a very general post in the office of the weather department. Whenever he got some time, he used to get involved in this work. Here, a moral question may arise in your mind, as people used to avoid the stress of using it right now. They argue that should we use the time of the office for our work? Its straightforward statutory answer is, ‘No’. But it also has another practical answer. It is that if you do not have any other work during this time, then what are you doing at that time in the end, except to ruin it? It is of course that you do not do your work at the cost of the office. Give it priority only. But if you are using spare time, I do not think that you are doing a great crime. I leave it to you, in what form do you take it. We want to be in any job, some holidays are available. 54 Sundays come in the year. If you are working in Five Days Week, then it adds up to 54 days. They come in ten or fifteen festivals in the year, in which they live. You have a different right to take ten-fifteen days of holidays. Some of the holidays are even around here. Have you ever thought about the use of these holidays? These holidays are true, so, for now, you are just like a free hit that you can relax and use the full potential to make six. This is like a boon for you, which is completely controlled by you. By maximizing these holidays, you can improve the average of your studies, provided they do not use them as other days. But this will happen when you take these days of vacation as an invaluable gift. If no one is in any job, there is always the scope for taking a few holidays separately, even if they do not get salaries in lieu of those holidays. I can understand that taking leave on the condition of not getting paid is not easy due to financial requirements. But in most cases, I found it as a psychological problem. People feel that this will harm them. But there is a direct thing if you need it, then how to fear this loss? Well, if you ask the truth, then I would like to say that if you are using your remaining time correctly, you will not need to take a separate leave. Yes, the point of examination is different. If we all examine our daily time according to their utility, then you will find that almost half of the time is used in the right way. The important thing here is that even half of the time in this half-time, we get out of those things which we do not need either, and if need be, it is not so much needed that except for the preparation of the civil service, Look like An important principle of time management is that we set our priorities. It would be better than you make a list for it, in which you will be able to note the things that happen throughout your day. Then you go away from those things, without whom you can work for the moment. Do not think that you can not work without it here. Leave it once. A lot of things are difficult for us to leave Because they have become part of our habit. Some will have to change. It’s just the right time for him. Also, you can also do many such things for others, which they can do. There are many people with you. You have to see how you can save time by taking help from them. If you have to spend some money to get help, then it will be better to save yourself from the temptation to save money right now. Money only happens because it can increase your power and your ability too. There is still a lot of rest left to save money. Here, use it as an instrument and use it. As far as I think, there should be only two things in your priority-the first economic capability, which you can call your job or job. also take Daily current affairs Quiz And the second is to prepare for civil service. Any other work which is creating obstacles in it, it would be better to tie them most of the time. Do not panic. You will not lose anything from this. After successful, you will get back all these lost things and many many times more. And if they are lost in truth, you also fail, and they do not return the lost things, then consider that they were not yours. Otherwise, it will come back. Therefore, at the moment you shortlist the list of your essential tasks-but only give it to two tasks. If you do not blame me, then here I would like to say that any great work demands sadhana. Preparation of civil service is a big task. So you have to become a seeker right now. You have to do it yourself. Devices of self mean that you have to eliminate all of your smallest wishes, which inadvertently expose many parts of the treasure of your time inexplicably, and nothing is available except repentant. In a way, you should take a very simple and simplistic life. I’m not talking about becoming a monk. Here I mean simple life too, not with high thinking life system. I mean only that the simplicity of life prevents us from the complexities of those extravagant, Which destroys our time in vain At first we create complexities and then take time to resolve those complications. The funny thing is that they complicate rather than fixing the complexities. In this way, we get trapped in that trap. After all, it takes time for all of these. You will be able to save as much time as you can to your life, in real life. Many young companions have a question that how many hours they should sleep. Its direct answer is that in the number of hours you feel your sleep has been completed. Or, after getting up, you feel fresh and do not get sleep shock again. But here’s a very big screw. The screw is that if you feel like after eight hours of sleep, then you are allowed to sleep for eight hours, then when you are preparing for the civil service and are also doing a job together. Not at all. The truth is, not at all. If you allow me, I would say it is a kind of crime. In general, you should not be allowed to sleep for eight hours. Minimum six hours and a maximum of seven hours, that’s all, not more than that. Scientifically also, six hours of sleep is sufficient. More than that, if you are engaged in work all day long, So before going to bed, your mind and body will be so tired that you will get drowned in sleep when you go to bed and then you will be drowned in such a deep sleep that when your eyes open after six hours, then your sleep is completed Will be. If you are still sleeping, then consider it to be psychologically sleepy, not physical. You have become habitual and under the same habit you feel like, “I should take a little more sleep.” And as soon as you sleep a little, it gets a little too much. I will alert you to understand this mood of the brain, at least until then, unless you have intentions for preparing for the Civil Services. Not physical You have become habitual and under the same habit you feel like, “I should take a little more sleep.” And as soon as you sleep a little, it gets a little too much. I will alert you to understand this mood of the brain, at least until then, unless you have intentions for preparing for the Civil Services. Not physical You have become habitual and under the same habit you feel like, “I should take a little more sleep.” And as soon as you sleep a little, it gets a little too much. I will alert you to understand this mood of the brain, at least until then, unless you have intentions for preparing for the Civil Services. I feel that any person who is engaged in some of the important works, and for which time is a great utility, there must be a timetable of the day. I used to do this Even today. Although the written timetable was neither at that time nor is it today, but my mind has a plan for my day. The time to rise is almost-almost certain. The activities throughout the day are fixed and I know very well about what I have to do. You will probably laugh after knowing this habit that if I do not know what to do today or if I know that there is nothing to do today after the rise in the morning, then the mind becomes so bitter that “Oh father, how will you cut the day today?”I am not a worker. But there is definitely so much that I want to do something or the other day. I do not understand if I will not do anything, Then how will it be possible to sit down empty? Even though I can read or write or think nothing, but how can I cut time without doing anything. I am here talking about time management for those who are preparing for civil service. The preparatory class belongs to those people, who have problems with time. Therefore, it becomes something mandatory for those people that they prepare a rough blueprint for their day-to-day activities. And then follow it with full discipline. Yes, it is necessary that in the entire series of time, give some gaps in between and in the middle, if the previous work has taken a little longer to complete, then the compensation will be in that gap. That is, that your time table is more practical. Do not be so intense that you find it difficult to run You begin to feel pressure and stress on your mind. Or you can play for a few days, but it is not possible for you to walk with him for a long time. It should be such that you can complete your daily routine and also get the self-satisfaction of fulfilling it. Generally, it is believed that a man can work eight to ten hours a day. It is okay under a prolonged plan but at the same time, I also assume that a person can work twelve or fifteen-fifteen hours in a day when necessary. You too will do If this is true, then there is a possibility of time management here that if you can work twelve-twelve, fifteen-fifteen hours for ten to fifteen days for four-five days, then should the number of these days belong Can not be extended to? Can not you do this for a month, not for six months or for a year? If it can be done for a few days, then I think it can be done for a lot of days too. I am a supporter of this theory of nature that the incident can decrease once, it can decrease again and which can decrease further, it can also decrease many times. Take this as yourself. You usually work ten hours a day. Determine for a few days in a month, not by continuous but by the gap in the middle that I will work thirteen-thirteen hours these days. If you work for thirteen-thirteen hours for seven-eight days in a month, you will find that you have earned twenty-five hours in a month and that twenty-five hour will not be reduced in any sense. We are all human beings and as human beings, we all have many weaknesses. These weaknesses have some natural physical weaknesses, some have mental weaknesses, some of us are helpless to our habits. Some weaknesses create our desires. There are some who are born from our own age. This is your time, it is not time to become a victim of these weaknesses. Rather, ask the time, it is time to recover from these weaknesses. It is also time to change these weaknesses in their strengths. You have to show strength. You have to be very rigid and evaluate yourself. Then each one of your weaknesses will have to think carefully about ways to get rid of them by examining them thoroughly. By implementing those measures, they will be free from water. This will give you two immediate benefits. First, you will become mentally strong, which will be a strong part of your personality. It will be very needed in the last phase of the civil service. You can not fulfill this need with any training of fifteen days or one month. The second immediate benefit you will have is that your time will be saved. Our time is not destroyed by just doing the work, it is also destroyed by thinking of anything else. You will see that the thoughts of these extravagant thoughts were constantly weakening you, distracting, scaring, showing greed, and now they have stopped coming slowly. Since they are no longer the possession of your brain space, So you will realize a different kind of time. Perhaps it will be the first time that you will feel that the time is such. This will be the time that will be the most valuable, the most productive, will be full of the highest quality. Since you have time now, it is directly related to your own mental state, so whatever you do during this time, it will be in the best possible way and in the shortest possible time. In the morning and morning, the thing which I had said at the beginning of dealing with the important things, in fact, is keeping the same thing in front of you in a different way. He will be in the best way and even in the shortest time. In the morning and morning, the thing which I had said at the beginning of dealing with the important things, in fact, is keeping the same thing in front of you in a different way. He will be in the best way and even in the shortest time. In the morning and morning, the thing which I had said at the beginning of dealing with the important things, in fact, is keeping the same thing in front of you in a different way. Second and third paper of General Studies in the main examination of the Civil Services is full of the most challenging and also the second paper of General Studies, which is mainly related to the Constitution. As proof of this, we can see the score of this paper top 2015 of Tina Dabie. Tina Dabi had political sciences in the graduation, and she took the subject as an optional subject. As you know, the direct and most relevant of this paper of politics is from political science. The point of note is that, in this second paper of General Studies, only 84 marks out of 250, while their score in this optional paper is almost 60 percent. You can understand that a student who has studied political science as an alternative paper, The same is scoring around roughly 33 percent in general paper of study. After all, there will be no reason for this? Here I should also tell you to redress your doubt that it was not so that in that year all the students got very few marks in this paper. Jasmeet Singh Sindhu, who came in third place, got 100 points in this paper. It means that it is not that the numbers are not available in it. The sense is that it has to be prepared in some different way. It is clear that if we have only book knowledge, it would be difficult to score well in this paper based on the policy. Keeping this fact in mind, I am writing this article for your convenience, with the hope that this will help you get a higher number by preparing for the policy. There are some very obvious reasons for this paper being challenging, which is very important for you to know so that you can prepare yourself to face it. The first thing is that the course of this paper is definitely bigger than others. It has five parts-governance, constitution, political system, social justice, and international relations. In fact, being a part of five is not a big challenge, except that the remaining three parts, except for the two parts, are not clear. These are three parts – governance, polities, and social justice. Thus, the second major challenge is not to clear the course. When the course is not fixed, then surely it creates a major crisis in front of you, on which topics you prepare. The third major challenge is that, of course, We can call it the practical side of the constitution and the administrative system. The difficulty is that neither you have the practical knowledge of governance nor the rule of governance. You know very little about social justice. It is therefore difficult to know how to get the exact answers to the questions asked on this. The fourth challenge comes in the time of writing the answer when you are asked about your views on resolving these problems. Thinking that if you do not have practical knowledge of those problems, how can you tell about the solution? The fifth challenge is directly linked to the current affairs affair. Particularly complete preparation of the policy is possible only by newspapers and news. And you know that newspapers are full of this topic. The course is not clear. In such a situation, it is natural for you to stand up to it. Think of whom you prepare for your examination. Questions come from international relations as the sixth challenge. But they are of such general tendency that if you are cautious about contemporary global events, then answering will not be difficult. The point of happiness for you is that the course of this part is clear. The questions asked on this are not complicated. Writing answer in two hundred words can also be considered by your side. Even though you may find these challenges in reading and hearing, it is not normal, but in practical terms they are normal. The challenge that I am going to present to face these challenges is primarily because you have to go from the world of books and enter the living world of society. Here the relationship with the society is from political and administrative systems and social justice. If you have been thinking that reading more books on these subjects will bring more numbers, then I think that you are not feeling right. The main reason that I have spoken to the Top Tops I have mentioned above is the main reason for me being scored less by Tina Dabi, that all the preparations on this subject have been centered towards books. Perhaps they knew more about it than they needed, From the point of view of general studies. His difficulty was that he could not convert this special knowledge related to his subject into general knowledge. Why this happened, because of the pragmatism of these subjects, they had to remain unfamiliar. Friends, as far as reading material related to the preparation of the policy is concerned, I would like to say one thing specifically that you do not have much time to read books. NCE for you R.T. Books of Ninth to XII and books of M. Lakshmikant will be sufficient. Yes, it is of course that your success will depend on how well you can use these books. I would like to clearly explain the preparation of this paper in two parts. Its first part is linked to its theoretical side and the second part is from its practical side, before that I have been called “a living relationship with society”. Until you do better coordination with both of these, your preparation will not be able to take full form. The preparations I’m talking about here include both Prelims and Mains Examination. You know that about twenty percent of questions in pre is asked by the policy, and those questions are directly related to the constitution. It is obvious that this is the theoretical aspect of this paper, which would have to be neglected to take a very big risk in the initial examination. I know that you do not want to take this risk. There is one more thing. As long as you are not very familiar with the theoretical side of a subject, you will not be able to understand its practical side properly or keep your thoughts dwell on it. You can test my statement on this basis on the basis that politics is such a topic, where there are talk and debates between people standing around Panama and Parliament. This means that the common people also know this topic. But the limit of the common people is that they do not know its theoretical side. That is, it can be spoken without knowing the theoretical side, but their point of view cannot be weighted, because in such a way their reliability is doubtful. Therefore, you have to make a balance between these two parties. As far as knowing its practical side, the most important book that can certainly be for this is News Paper. You do not have to read too many newspapers. You take a national paper, it will be enough. you can get important clippings every day in terms of the national level Hindi-English Civil Services Examination. Will go. I think this is a huge treasure for you. You will get news from your newspaper. Then from this web site, you will find editorial comments and editorial articles on many topics. That will be enough for you. Let’s talk about some of the practical steps that you can take with this study material. I would like to keep these things here so that they are present in your mind differently and clearly. You should start your preparation with NCERT’s books. You understand the chapters given in them as well. You should assume that you do not know what the Constitution is, what the government is, what the legislator says. What are the definitions of equality, independence, and justice? How does democracy work, etc? In these books, these chapters have been explained in every detail and at the practical level and you have to understand it with full seriousness. If you give a lot of leniency in it, then assuming that if you have completely forgotten the constitution, you will feel weak in writing the answers to the Civil Services Examination. After this, you should read M Laxmikant’s book and understand the Constitution very well. While reading this book, NCERT Let’s add whatever you have learned from the book. You may have trouble initially, but later the path will be easy. After this preparation, when you read any editorial comment or article related to politics in the newspapers, look not only in the constitutional background but also try to understand it. Find out what kind of constitutional provisions are for this. Listen carefully to any of the important issues that are debated or interviewed on radio or on television news. The same will increase your ability to think and understand. Also, consider important events on your behalf. When your preparation gets a little better, it will be better if you start writing a little bit on them. Your method of preparing for this topic should be serious for almost a year and a half before sitting in the examination. Seriously in the sense that now you also have to select important topics from examinations. Take help of unsold paper in doing so And Also take Daily Current Affairs Quiz to make powerful current affairs. Note the topics that you find important, note them on one page of your register. Then whenever you get to read about important facts, events, ideas, figures, constitutional provisions, etc. whenever you are related to that topic, let them make notes on the page. For this, leave some space and keep updating these topics continuously. Friends, it will definitely take some time to prepare for this kind of preparation. But that will be your preparation, it will be very solid and will be very number one. Do not forget this fact that you will also get the benefit in an interview, because in the interview often questions are asked on the political system, which is related to the current. Your initial level of preparation can be in about 6 months. Yes, then you have to give some time to the newspapers to strengthen it. This will ultimately make your preparation very good, there is no doubt in it. Since the economic reforms in 1991, the country’s economy is constantly increasing. India is currently one of the world’s fastest growing economies. Many economic policies of the present government have given this development more speed. The institute of the country running the economy’s carriage has not yet been empowered as much as it had to be made. India is a democratic country, and the foundation of its institutions is strong. The problem is that these institutions have not been developed according to the growing population and the increased demand. Among them, our judicial system is also one, which lacks the efficient functioning. Having a capable information system is the first condition. Increasing use of the Internet has increased transparency in the information. It is very important for a strong judicial system to implement all economic contracts effectively within a set time frame. The official system dealing with economic disputes in our country does not work properly. The parties related to the contract or the person want to move forward by bribe government officials by defying the whole system. This is what happened in the license rule. Indeed, the problem of understanding the importance of judiciary in the economy is linked to economic theory. In our country, the economists of reforms believe in neoclassical economics, in which transactions are considered cost-effective. While Richard Koze and Douglas North consider that in reality, rules and regulations related to any economic activity only show that no transaction is cost-effective or not. This new theory of economics promotes the importance of the role of institutions to reduce the cost of transactions in bargaining transactions, electing two assumptions of cost-free transactions and information in neoclassical economics. But there are few who believe in New Institutional Economics in our country. Studies show that by strengthening institutions in the political economy, it becomes difficult for those who take advantage of political power. So they do not want to do this. Therefore, opposition parties should be alert and alert for this. To make its place on the top of the economic ladder, India needs a lot of strong institutions. Otherwise, the country of our country Yarana will remain the land of capitalism.